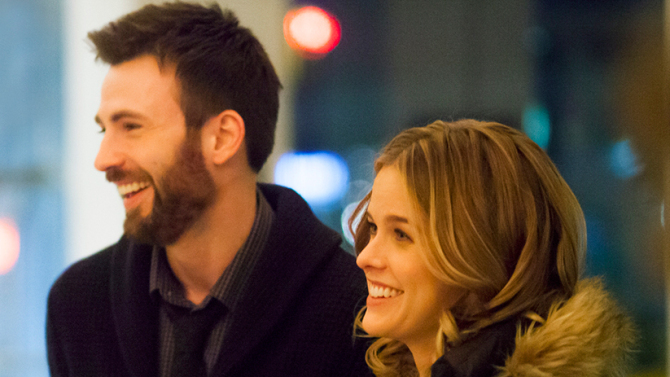 In “Before We Go,” Chris Evans’ directorial debut, the film creates a tepid homage (in title and form) to Richard Linklater, Ethan Hawke and Julie Delpy’s “Before” trilogy. Two strangers meet in Grand Central Terminal in the early-morning hours and bounce around New York City until dawn, kept together by failing cellphones, a lack of cash and a conveniently stolen purse. Evans casts himself as Nick, a trumpet player preparing for an audition (and delaying dropping by a party, where he knows he’ll see his ex), kills time busking in the resonant corridors of Grand Central Station, when the beautiful, flustered Brooke (Alice Eve) passes through in a blur, rushing to make the 1:30 a.m. train to New Haven, only to find she is watching it leave the station. Brooke (Alice Eve) is an art consultant who has missed the last train of the night. The need for her urgent return to Boston becomes clearer as the wee hours progress. Evans offers to help this clearly distressed damsel, whose purse has been stolen and whose cell phone is conveniently bust. Long on charm but short on cash, Nick can offer Brooke only maxed-out credit cards and a protective arm around her shoulder as they set off through the Manhattan mean streets in search of her errant Prada bag. This sets the stage for a long night of walking and talking amid the pre-dawn neon and manhole steam. The two wayward souls begin to bare themselves to one another. She’s an art buyer in town to close a deal, while hubby is away on business in Atlanta and doesn’t know she is in New York. He is still on the rebound from a bad breakup, a spurned proposal from the ex. he is avoiding meeting later that evening at a party. A series of misadventures follows, with the duo swapping life stories in bits and pieces. While “Before We Go” is a nice film, one can’t help compare it constantly with the film that opened up this storytelling style – “Before Sunrise”. Twenty years ago, Richard Linklater created for Ethan Hawke and Julie Delpy two rich characters who shared an instant spark, and their thoughtful, analytical conversations left you feeling truly invested in what would happen once the sun came up. 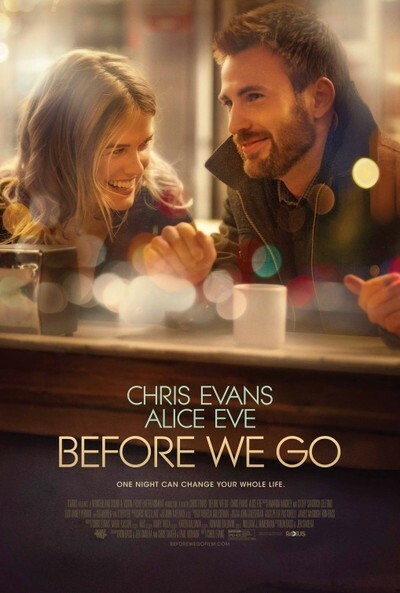 The constant comparison to this groundbreaking film style, makes it a challenge for “Before We Go” to shine throughout, even though it is a nice little film. This entry was posted in World Films and tagged Alice Eve, before sunrise, chris evans, efore we go, ethan hawke, grand central station, jazz, John Guleserian, julie delpy, manhattan, new york, night, prada, pub, Richard Linklater, trumpet plater by Praas on World Films. Bookmark the permalink.